When an IT system fails there is more at stake today than ever before. In addition to the obvious hit to internal team productivity and customer experience, a recent survey found, on average, critical IT incidents cost organizations upwards of $6 million per year! These costs underline the importance for major incident management (MIM) teams to quickly sift through high volumes of alerts, reduce the time to coordinate resources, and resolve incidents before customers are impacted. Your MIM team is under extreme pressure to deliver higher quality service and keep up with changes to the business. 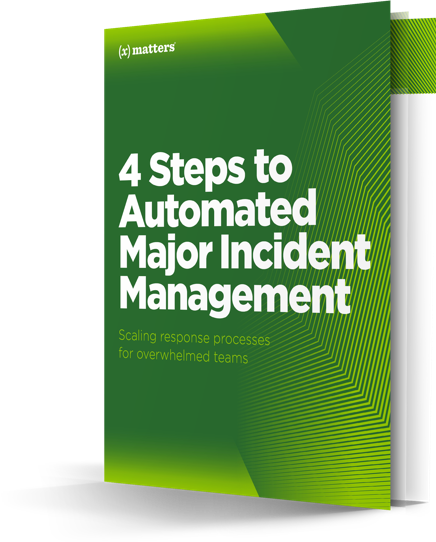 Scaling the team up is essential—but without organized incident management policies and automated communications, your team can still fall behind.